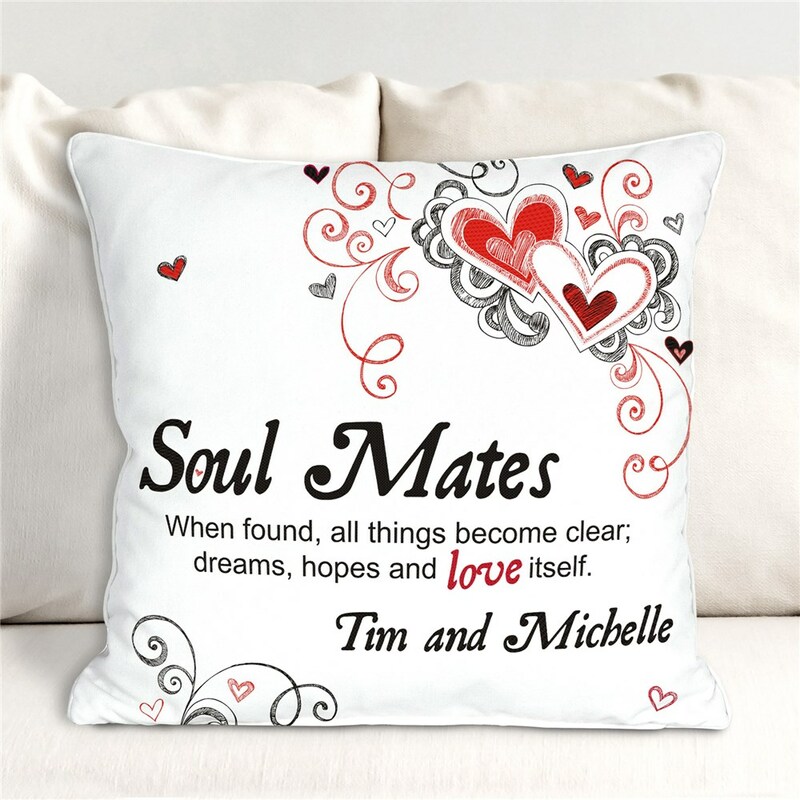 Our Personalized Soul Mates Valentine Throw Pillows will make your time spent on your couch much more enjoyable! Personalize this throw pillow with any couples names. These Valentine Pillow makes a perfect gift for any occasion spent with your loved one. This romantic gift will look and feel perfect while being display on your couch! I got this as an engagement gift for my best friend and she absolutely loved that it was personalized! Additional Details Personalized Valentine's Day gifts are a fun way to spice up the season! Shop personalized gifts from GiftsForYouNow for every occasion.